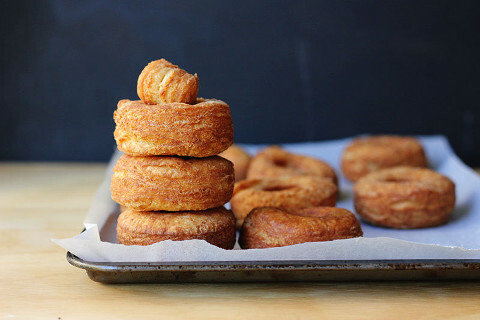 Food52's angel "bisnut" recipe merges the qualities of a buttery biscuit and a yeasted donut, resulting in one epic pastry. By now, you’ve probably heard of the Bisnut, the biscuit-doughnut hybrid pastry released last month by Carl’s Jr. The fast-food dessert joined the hybrid pastry ranks alongside Dominique Ansel’s Cronut and Waffle Cafe’s Wonut. 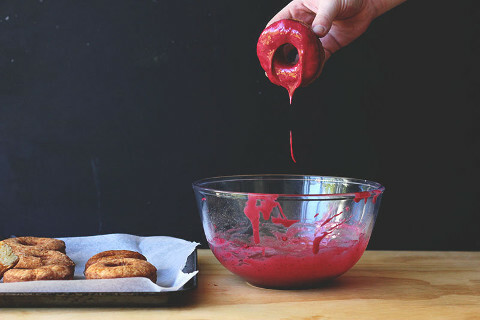 Try your hand at Food52‘s fried angel “bisnuts,” which take cues from angel biscuits—a modification of the traditional biscuit in which yeast is added to the dough. Like a traditional biscuit, angel biscuits are buttery, flaky, and tender, but don’t rise quite as high, and have the characteristics of a soft yeast roll. You know what’s even better than straight-up yeast biscuits? Fried yeast biscuits, that’s what. Which is why you should get in the kitchen and make Food52‘s DIY “bisnut” recipe asap. 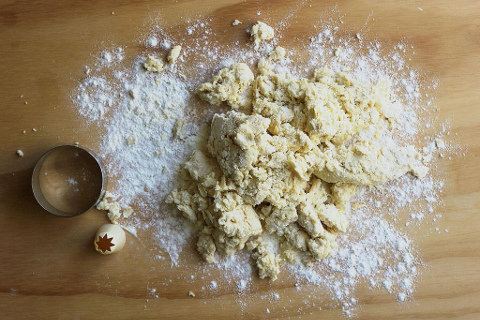 “Yeast works wonders for a biscuit,” writes Food52. It helps them rise beautifully, and gives the interior a softer feel. Once they’re all cooked, you can either toss the donuts in cinnamon or powdered sugar, or glaze them. 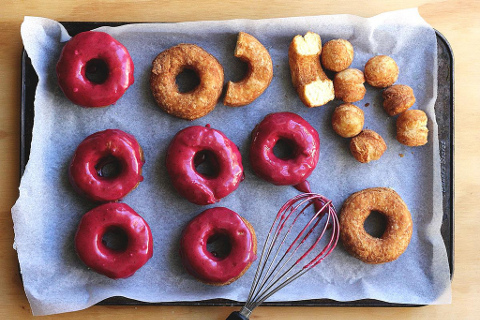 Try using a mixture of puréed blackberries and powered sugar to top your bisnuts.